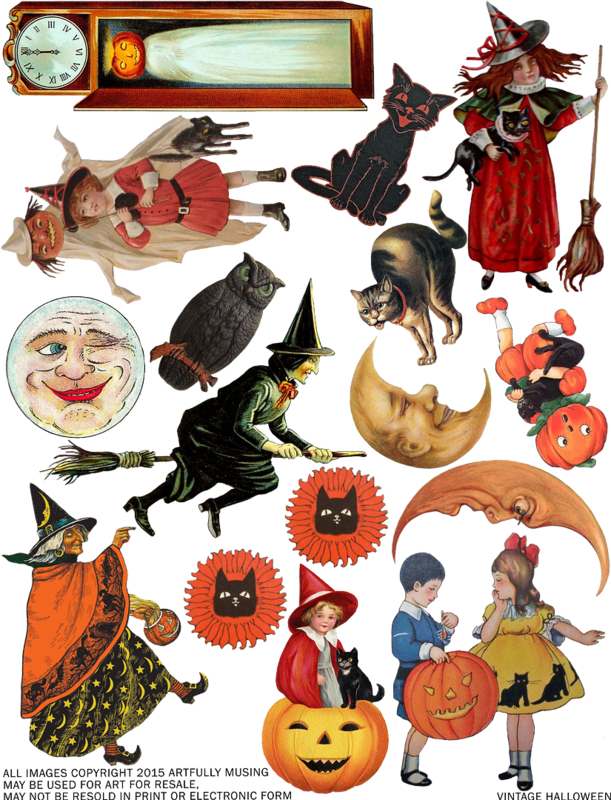 FREE VINTAGE HALLOWEEN COLLAGE SHEET - HAPPY HALLOWEEN!!! HOPING YOU ALL HAVE A SPOOKTACULAR HALLOWEEN!!!!! 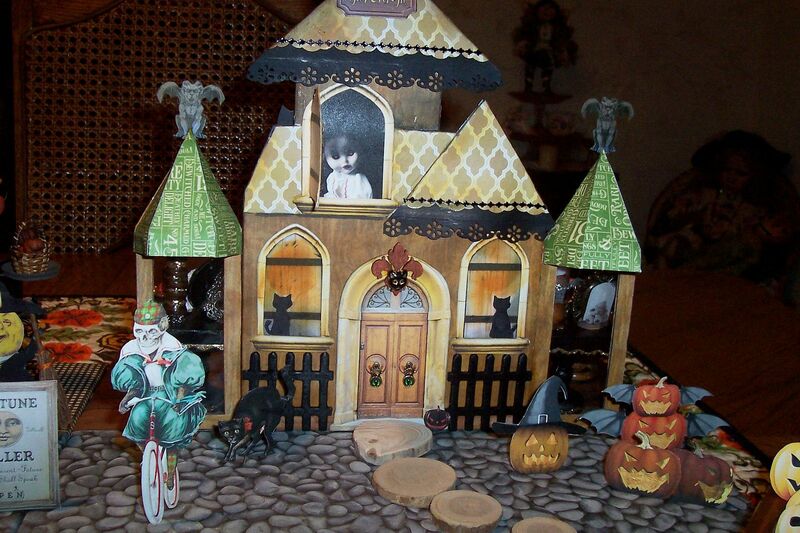 As you can see from the pictures Karen has been a busy bee creating her Halloween Village. There are just so many wonderful details to take in. 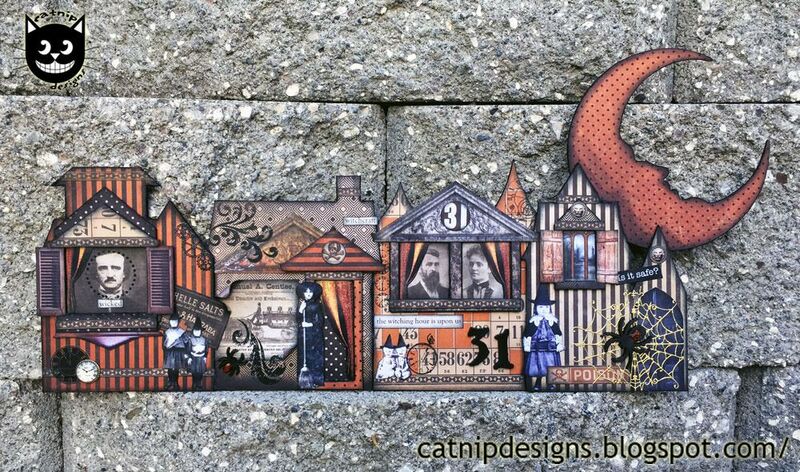 Notice the little card of pumpkins in front of the Black Cat Emporium on the right. Below you see the front of the Black Cat Emporium. I love the path going up to the front door. The inside of the Emporium is just loaded with cool stuff. Checkout the crystal ball on the floor stand to the right. I love seeing how everyone is integrating neat things from their personal stash. 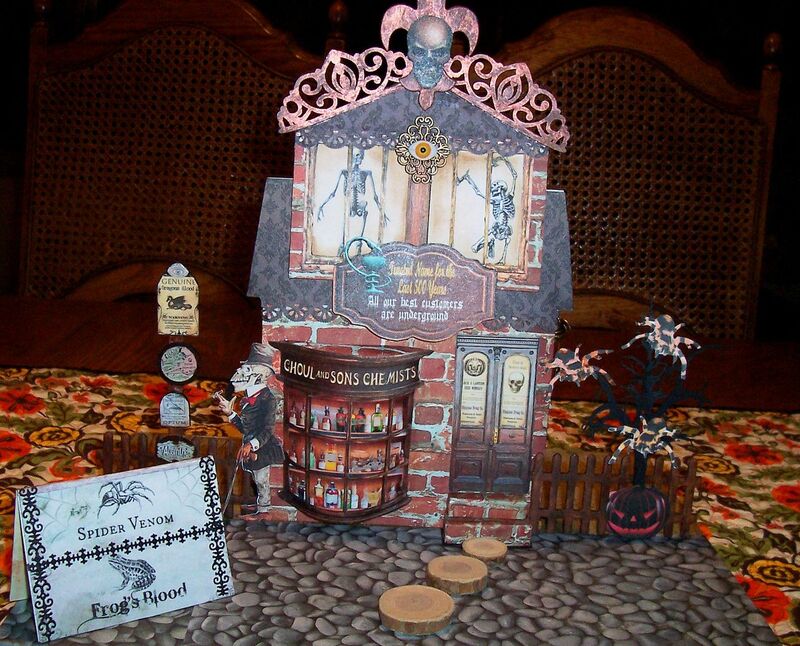 Below is the front of Ghoul & Sons. The skeletons frolicking in the window crack me up! 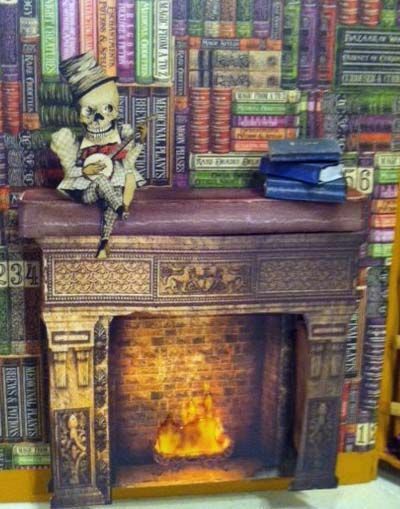 Below is the inside of Ghoul & Sons. 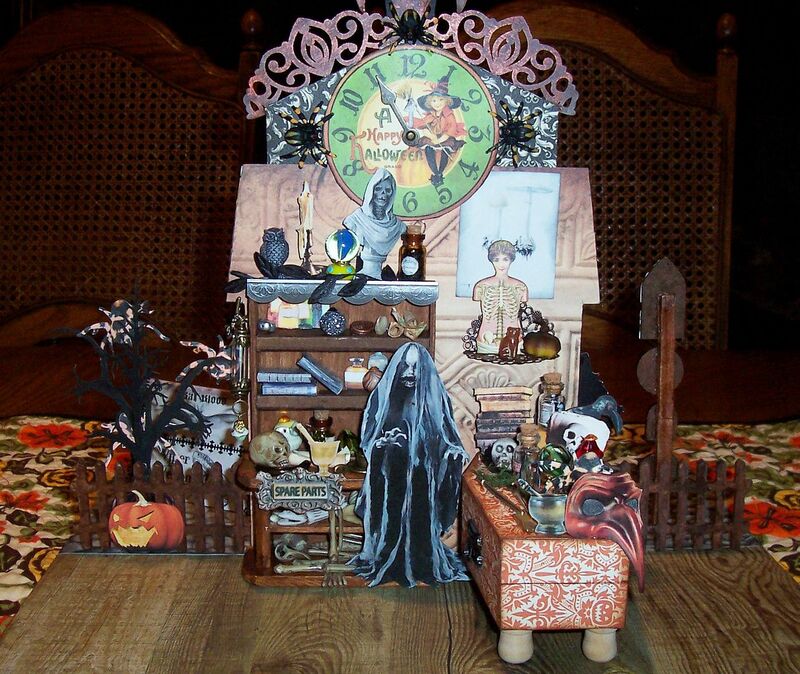 Karen has used a hinged coffin for a table and it’s loaded with gruesome items. 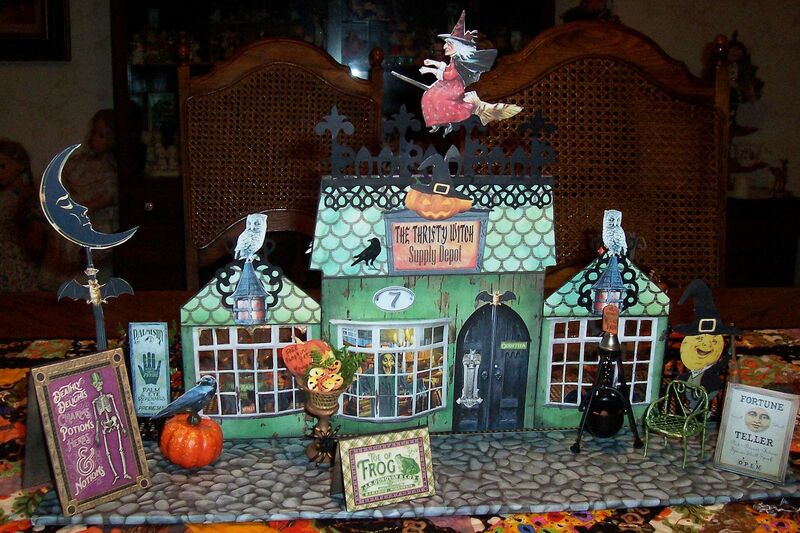 Below is the front of the Thrifty Witch. Notice a cute chair in front for tired customers to sit in and the basket of pumpkins by the window. On the inside Karen has use a plant stand to display some of the items. And just like the Emporium this store is packed with all kinds of cool things. 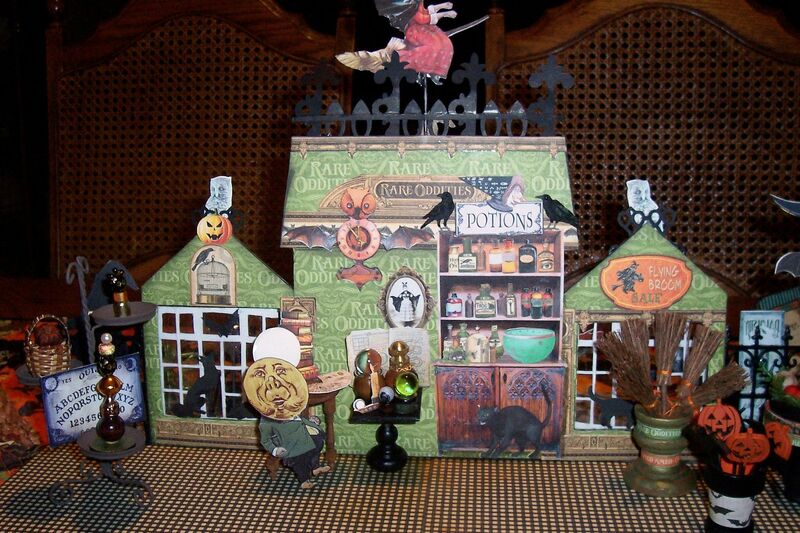 To see more pictures of Karen’s Village and her other Halloween projects, hop over to her blog KarensDollsandStuff.blogspot.com. 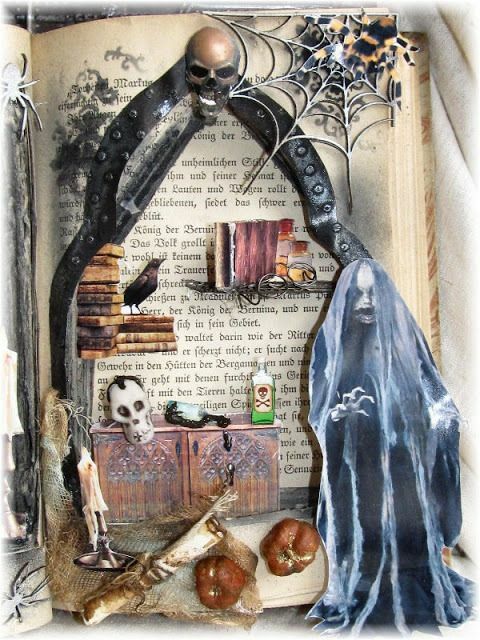 Kerstin has hit another one out of the spooky ballpark with her altered book pharmacy. I’m just such a fan of her work and I think you can see why. Her mix of a literal interpretation blended with collage is wonderful. 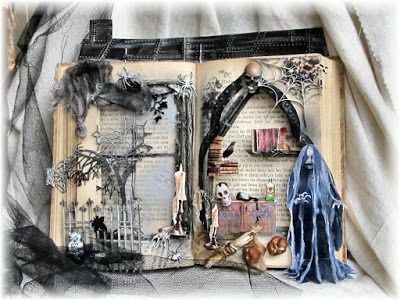 She has more pictures and detailed instructions over at her blog Scrapbook Dreams. 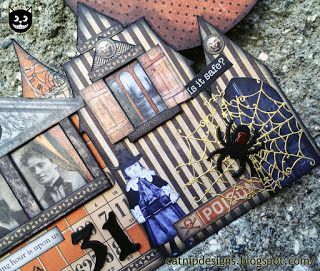 Checkout the Creepy Little Row Houses by the fabulous Teri Calia! 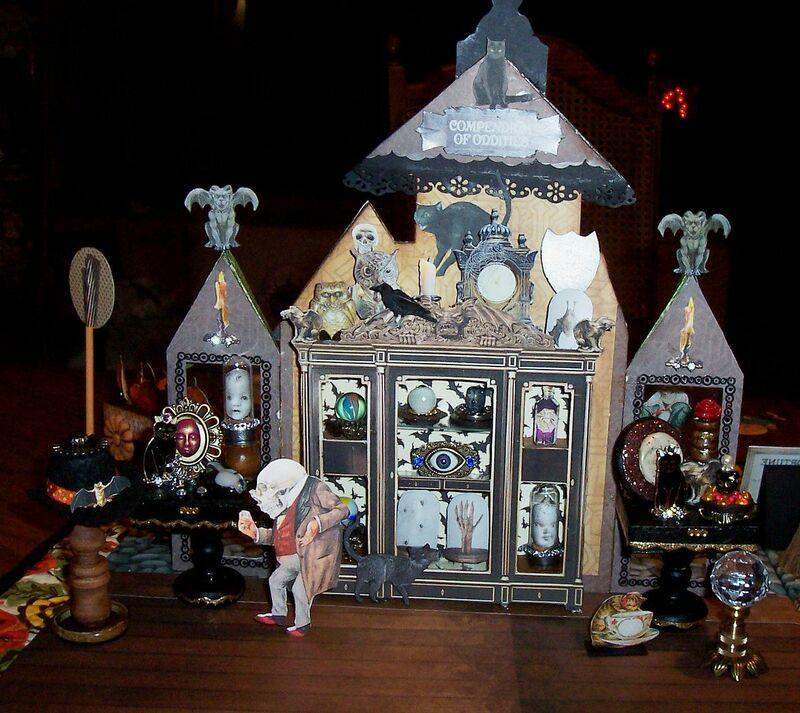 She created the houses with the new Mini Chipboard Haunted House Set. 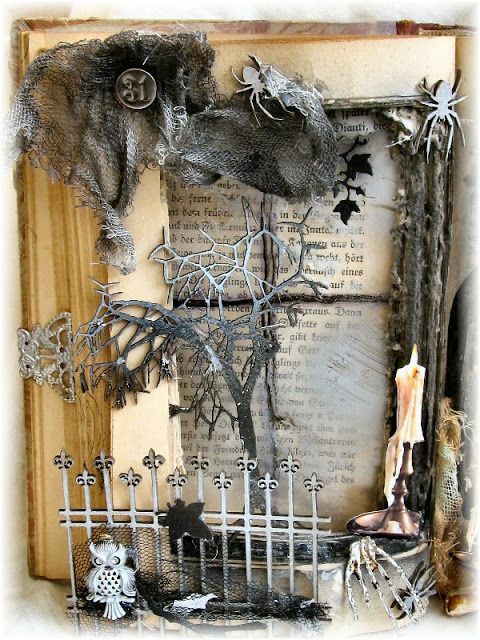 Teri has loaded up all of the houses with lots of spooktacular goodies. 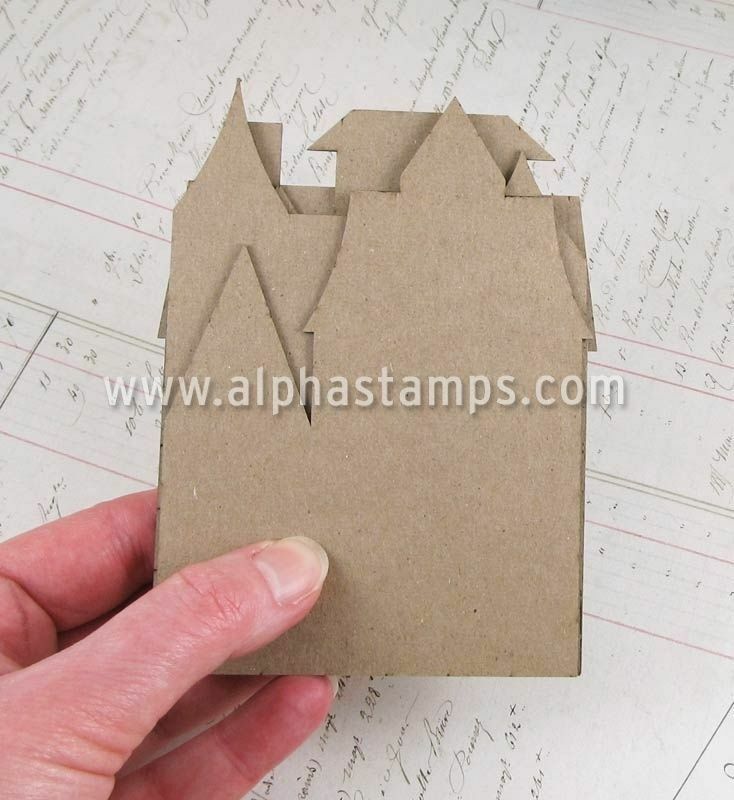 This set is the same as the Haunted House Black Chipboard House set except they are ½ the size. 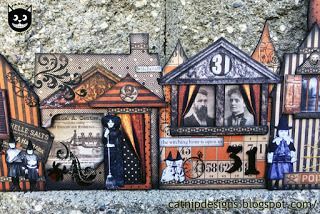 To go with the mini house set I’ve create two new collage sheets. 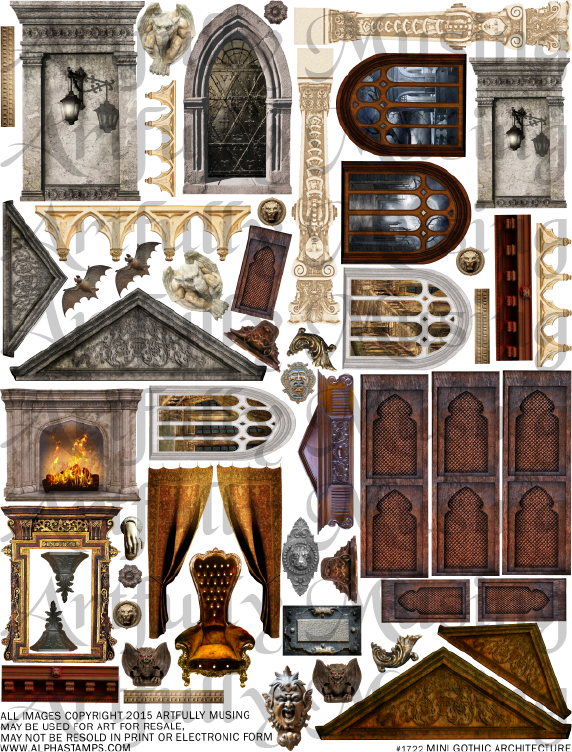 The first new collage sheet is Mini Gothic Architecture. This sheet has many of my favorite Ghostmore Manor images that are scaled down to fit the mini houses. 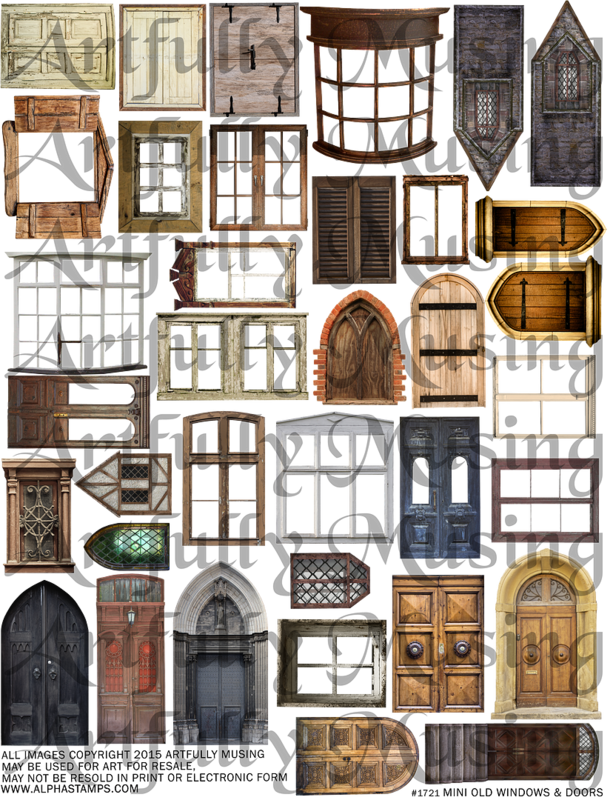 The second is the Mini Old Windows & Doors. 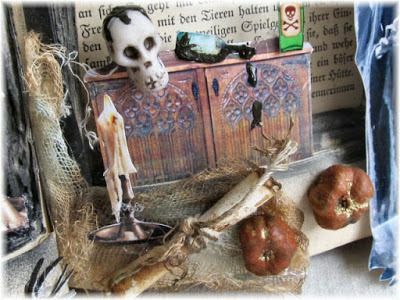 These are the same ones as in the Haunted Village series just scaled down for the mini houses. 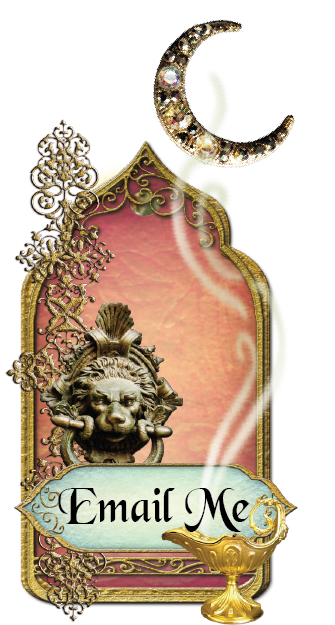 Click here for the supply list of products used in Teri’s project. 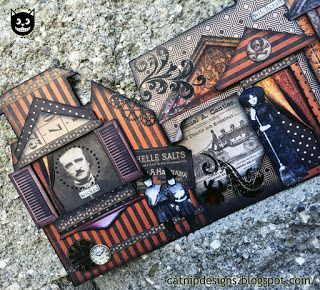 Click here to jump to Teri’s blog, Artistic Catnip, for more details on the project. 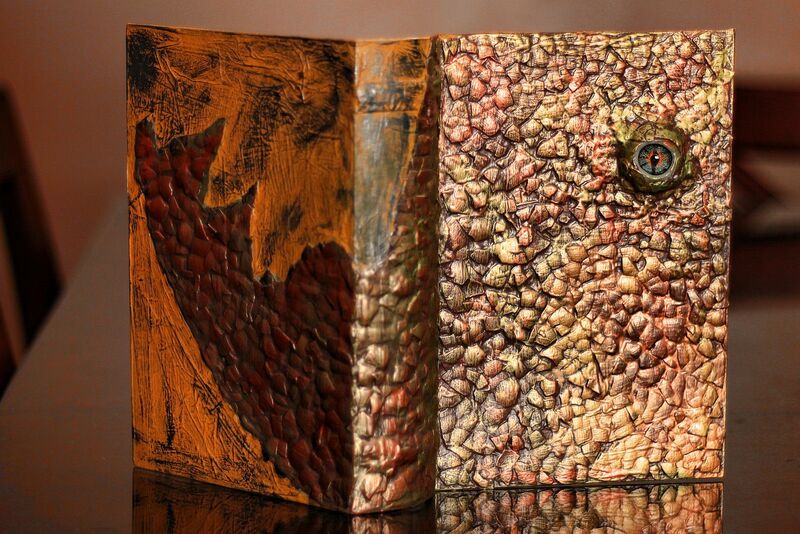 I think you’ll enjoy Marykay’s take on the dragon eye book and the village images. 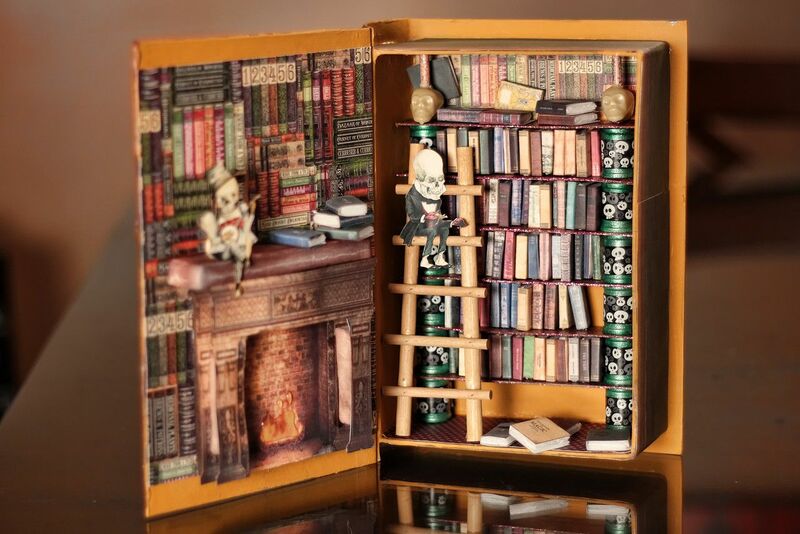 Instead of making an altered book she made a shadow box with a library scene in the inside featuring some of the Haunted Village images. 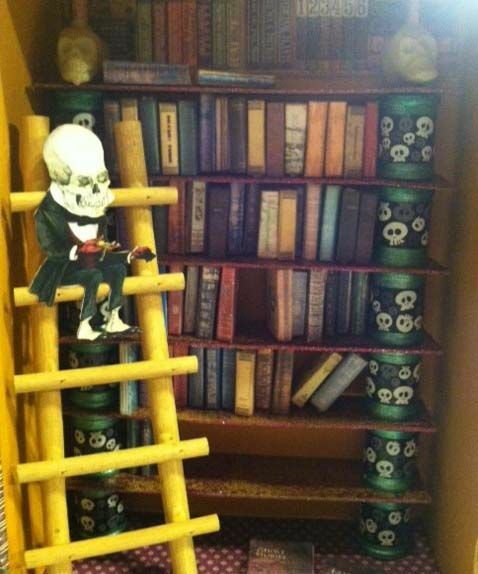 Notice how she is using thimbles to hold up the shelves for the books. I love seeing how people take ideas and inspiration in all kinds of unique and interesting directions.